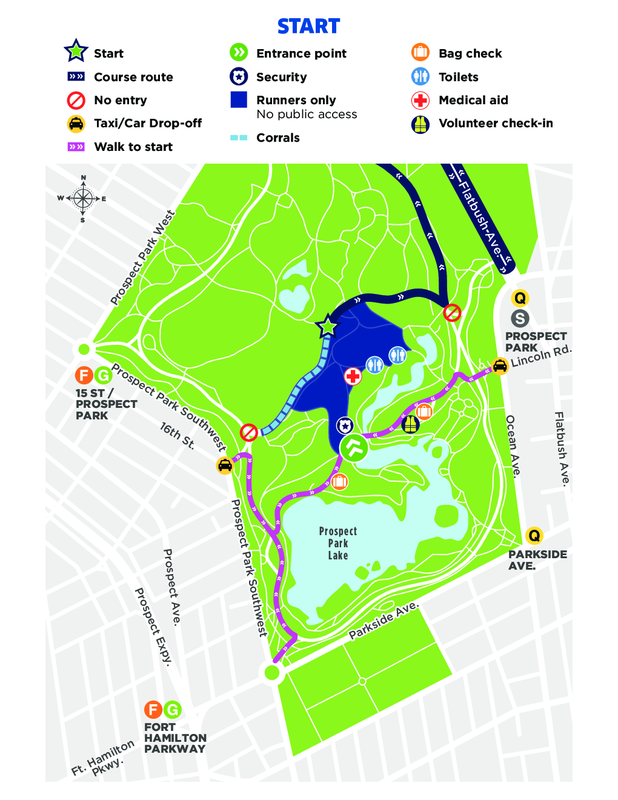 Mile 1:Start by heading east on Center Drive in Prospect Park. Turn left onto East Drive and run up the hill. 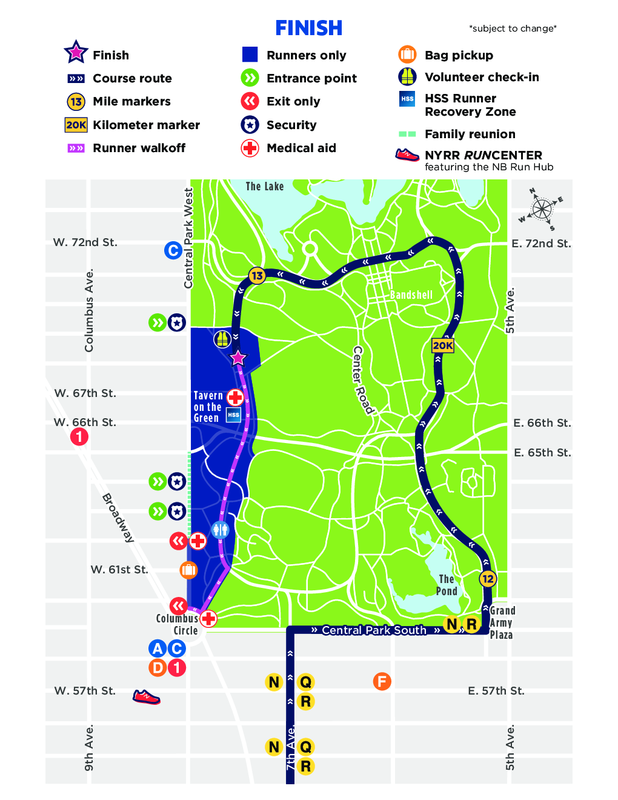 Mile 2:Turn right and head out of Prospect Park and south on Flatbush Avenue. Make a U-turn and head back up Flatbush Avenue toward Grand Army Plaza. 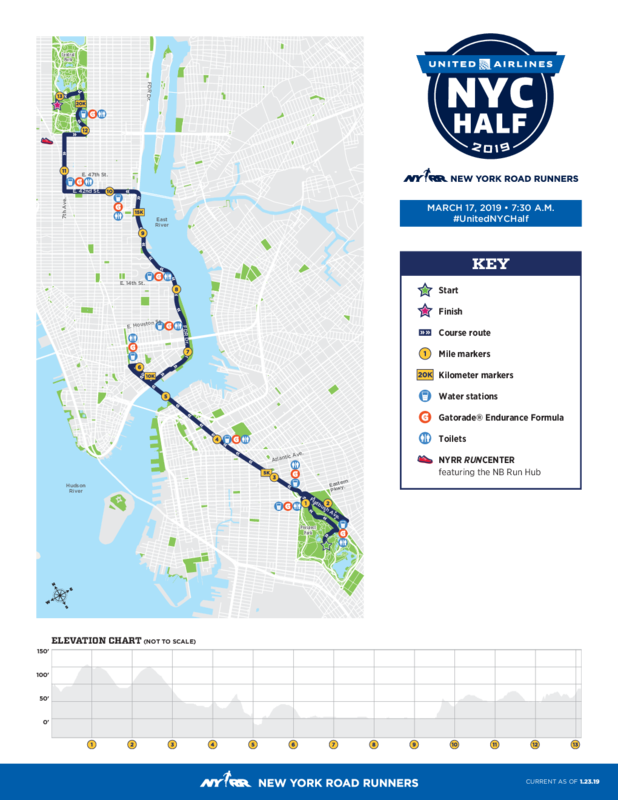 Miles 3-4:Run around Grand Army Plaza and continue north on Flatbush Avenue toward the Manhattan Bridge. Miles 5-6:Cross over the Manhattan Bridge and turn right onto Canal Street. Mile 7:Turn right turn onto Allen Street, heading south. Turn left onto South Street, then veer right onto the FDR Drive entrance ramp by Pier 36. Miles 8-9:Run north on the FDR Drive through to the East 42nd Street exit ramp on the right. Mile 10:With the United Nations on your right, exit the FDR Drive onto East 42nd Street. 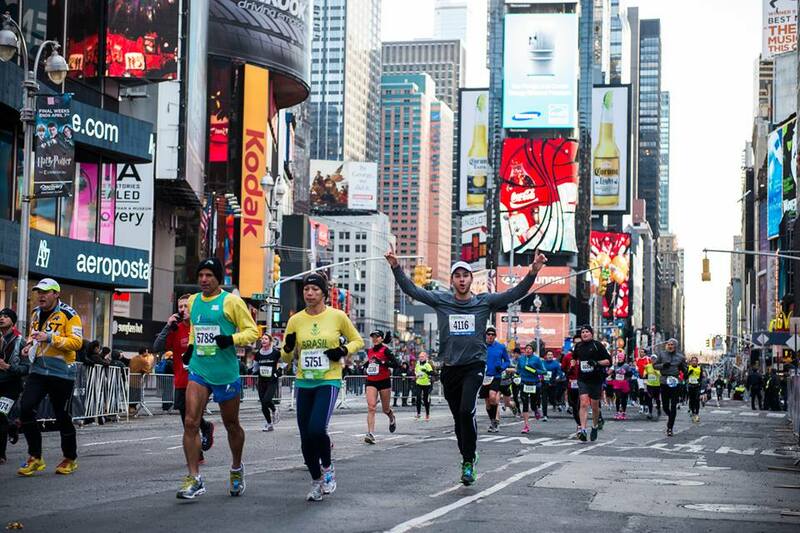 Mile 11:Run west on 42nd Street past Grand Central Terminal and Bryant Park. Turn right onto 7th Avenue. 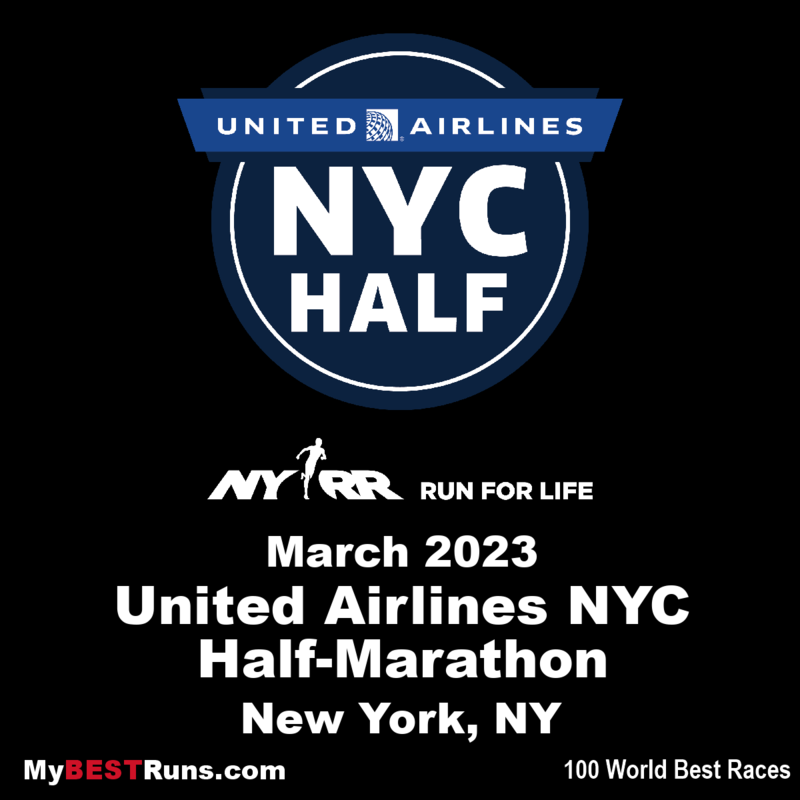 Mile 12:Continue north on 7th Avenue, passing the Rising New York Road Runners at the United Airlines NYC Half youth run on your right. Turn right onto Central Park South/West 59th Street. Mile 13-finish:At Grand Army Plaza (Manhattan) turn left into Central Park. Proceed into the park on East Drive and run north. Turn left onto the 72nd Street Transverse and then make your final left turn onto West Drive to finish just north of Tavern on the Green.